Say hello to new Winter season. In today’s post, I want to draw your attention to my favorite ways on how to wear burgundy hue outfits during cold months. This color is combined with the shades of blue and red, that’s why it gets the best from both worlds. No matter what’s your skin color, height or body shape, this color suits everyone. 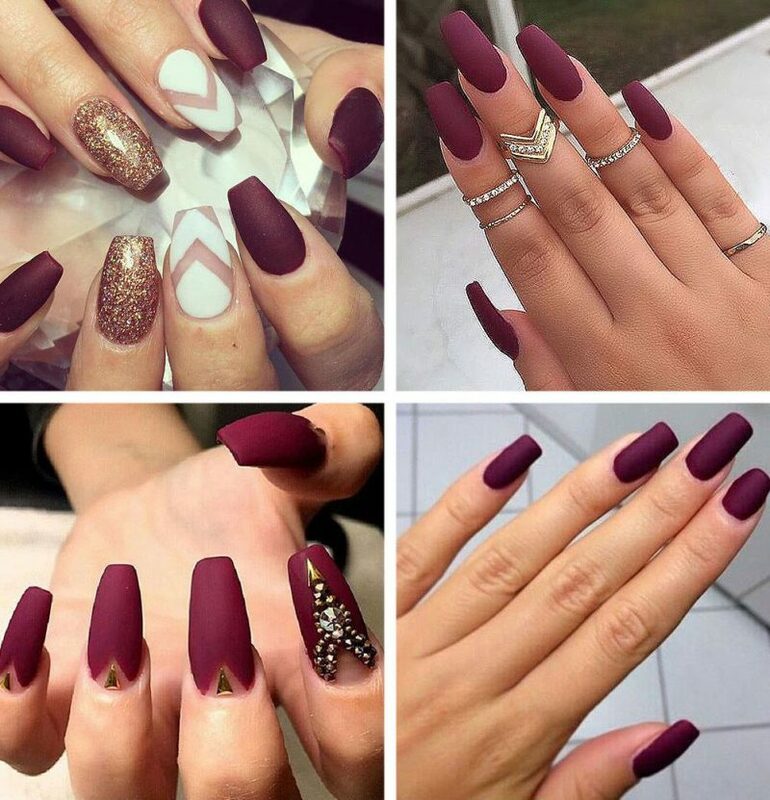 The great paradox of burgundy is the elegant and playful look. 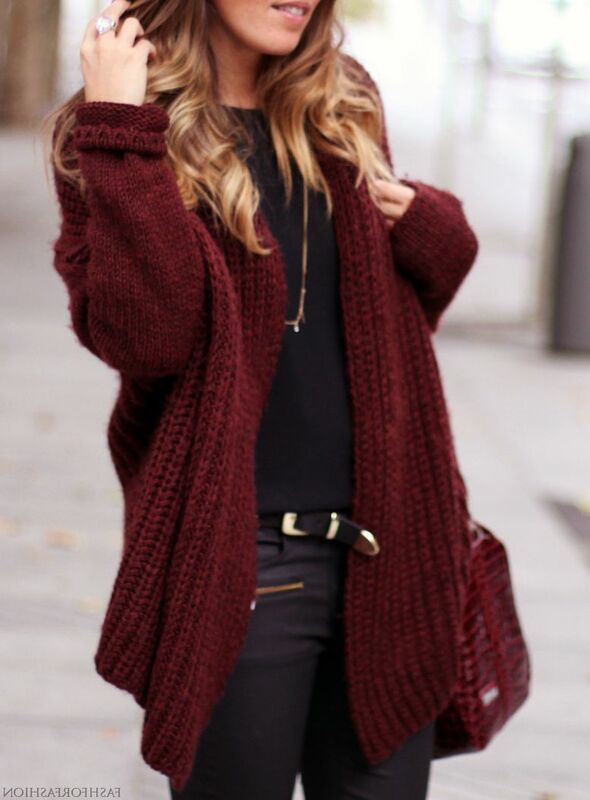 I think every lady should own at least a couple of burgundy color garments in her closet. You can wear it to different occasions, starting from simple walks on the town to fancy parties. 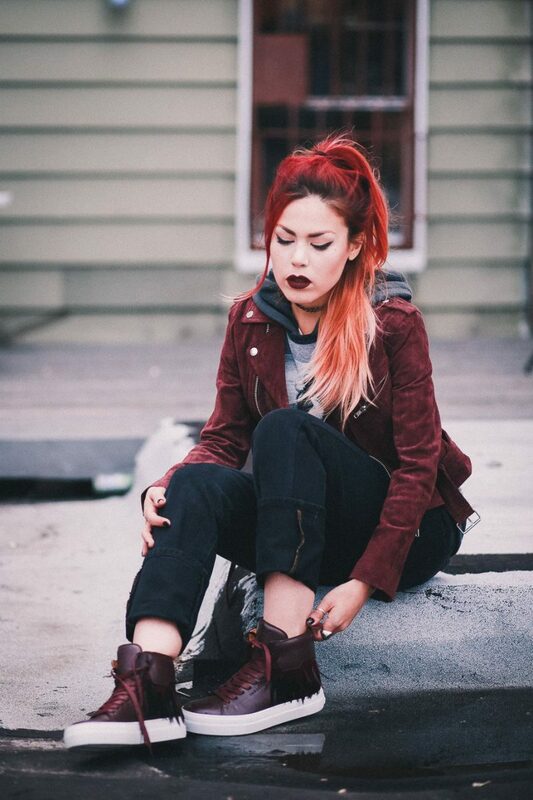 I decided to create this stunning compilation of street style images where ladies appear in burgundy dresses, coats, jackets, as well as pants and skirts. As you can see, there are awesome ways on how to mix this hue with dark neutral colors. I love to see ladies who appear in office-friendly looks featuring burgundy shirts or blouses worn under dark color suits. Anyway, I think you better read on to find out more. 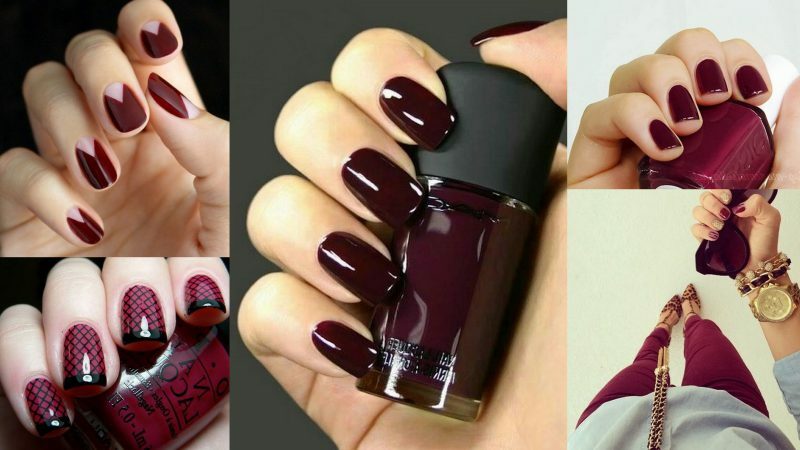 If you are a beginner to this color, then why don’t you try burgundy nail polish? The result gonna look sophisticated and extremely ladylike. Complete your beauty look by creating burgundy lips. 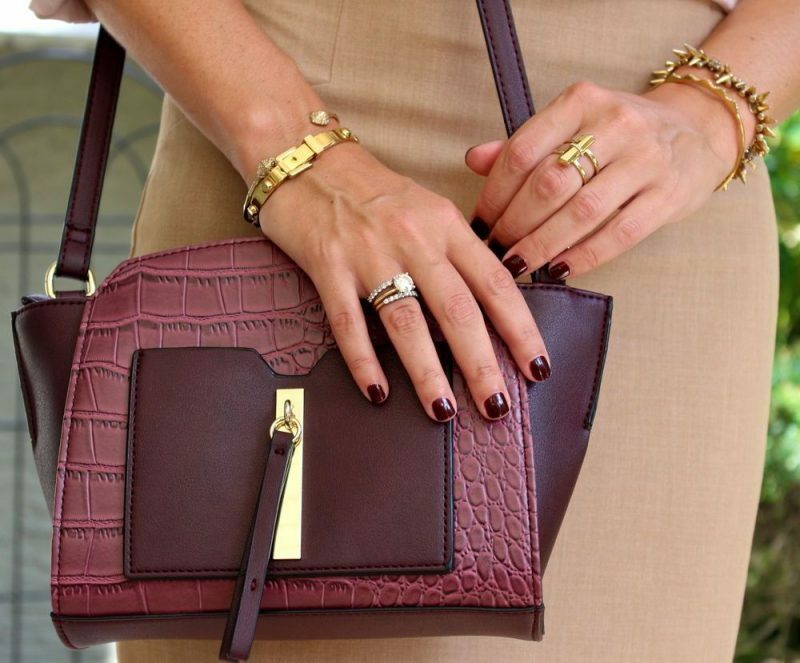 If you feel like you can wear burgundy, then you should start with accessories. 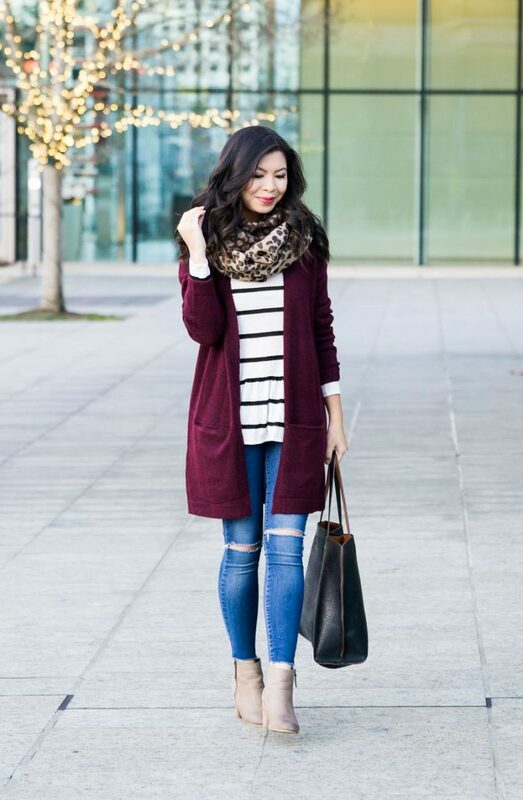 Go for a wrap/ infinity scarf in burgundy hue. You can style it with your favorite light blue chambray shirt and black skinnies tucked in lace-up ankle-boots. 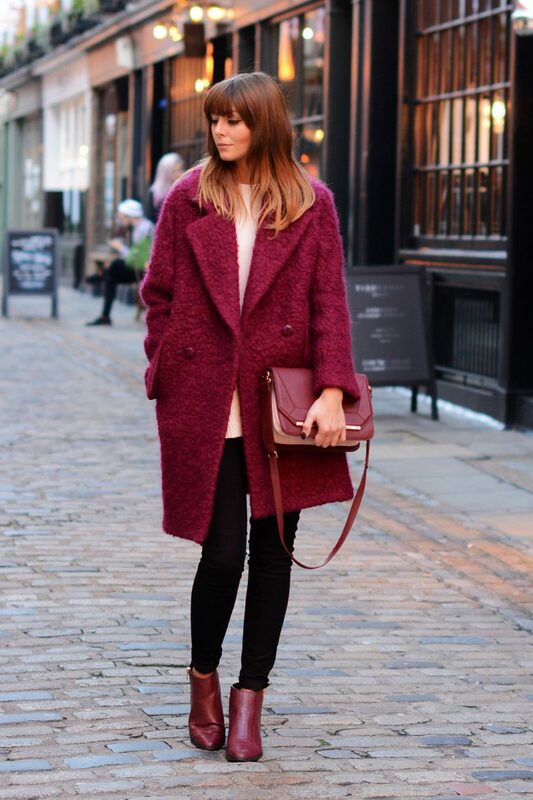 Another great burgundy-hued piece is a knitted beanie. This beautiful hat is a perfect choice for completing your casual look. How about making a real statement at a very special event? Try on burgundy long-sleeve pencil dress styled with a black miniature clutch and pointed-toe black pumps. If you want to keep things classy and elegant, then you better try on a wool high-neck burgundy coat and wear it with black pencil dress. The result looks sophisticated and extremely feminine. 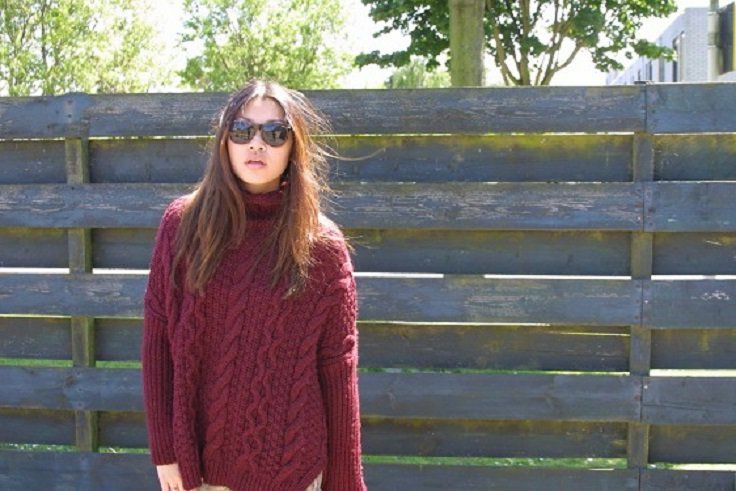 For casual day-off looks, you can choose an oversized burgundy cable knit sweater and style it with your favorite skinny black or dark blue jeans. 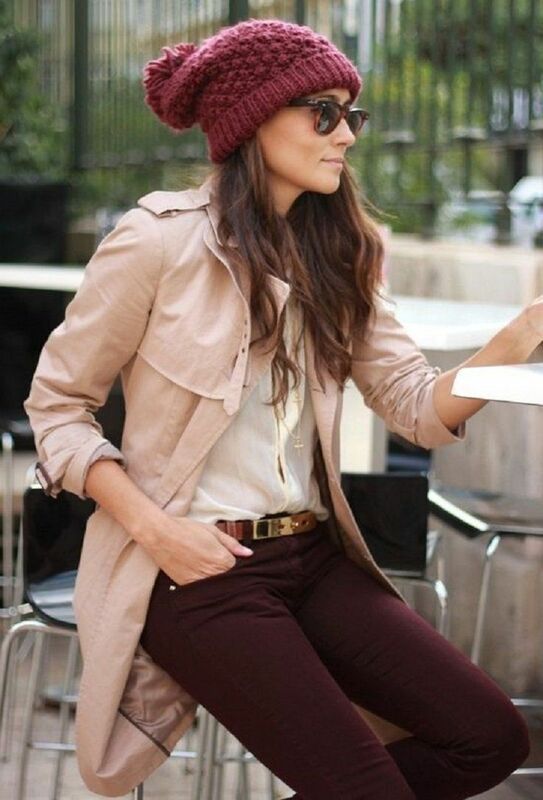 Sure, you can keep things more ladylike by choosing a slim-fit burgundy sweater teamed with relaxed-fit white pants. The result looks sweet and timelessly chic. 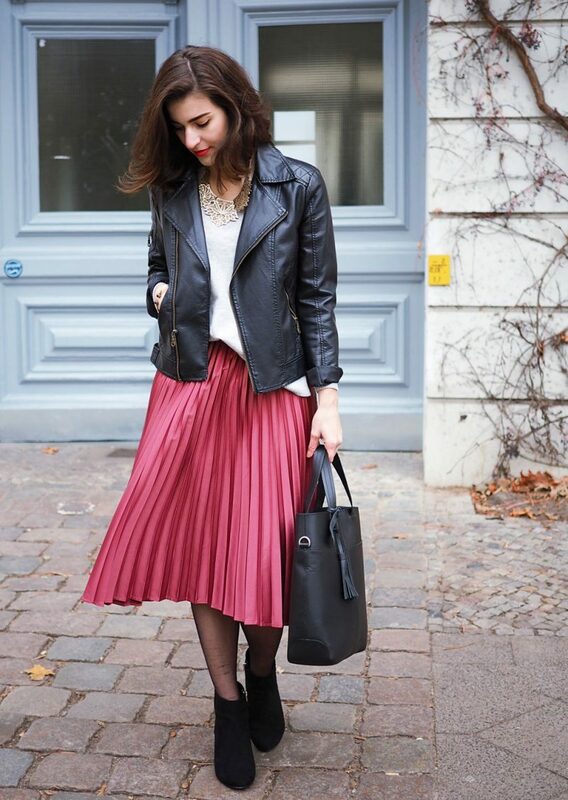 For the Friday’s work hours you can try on a burgundy pencil skirt and team it with a cream-white blouse and leather blazer. Another great casual style look can be created thanks to loose-fit cozy white sweater teamed with burgundy skater leather skirt.